Things are heating up this weekend, looks like summer is coming in hot! Tis the season for BBQs, nights on the patio, bathing suits and more. When it comes to BBQs, you never want to show up empty handed, right? And you also want to bring something that is guaranteed to be gone in a flash—yea, a little bit of ego is nice every now and then, right? 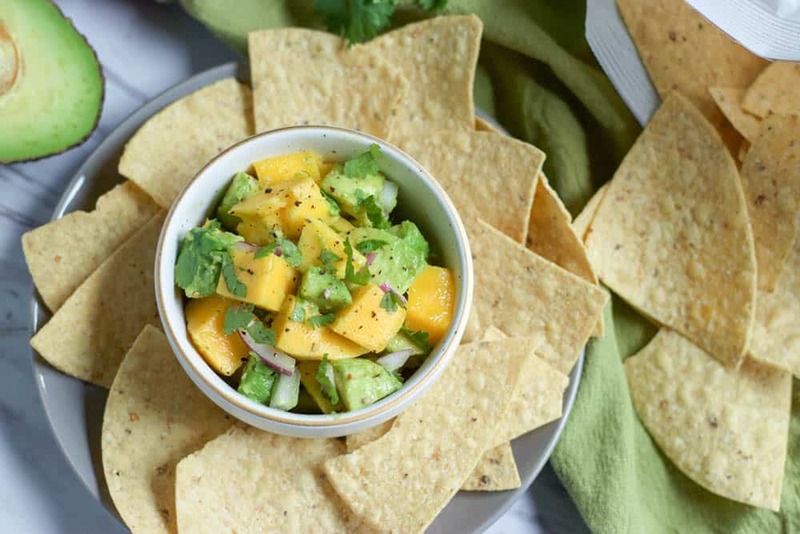 This Mango + Avocado Salsa is what you will want to show up with this summer. A little bit of sweet with a little bit of heat makes this the perfect combination. And did I mention how easy this is to toss together? 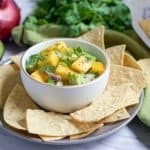 You can use fresh mangoes, however sometimes they just aren’t ripe in the time you need them. In that case, thaw frozen mango chunks and then cut into smaller pieces. If you are not a big fan of heat, opt for a green chile instead of a jalapeño. Either is just fine. Other than that, get ready to scoop this up chip by chip! Or, scoop it over a nice piece of grilled salmon! The choice is yours! 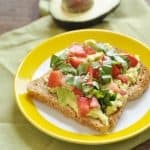 Remove skin from avocado and cut into small bite sized pieces. Add to medium mixing bowl. 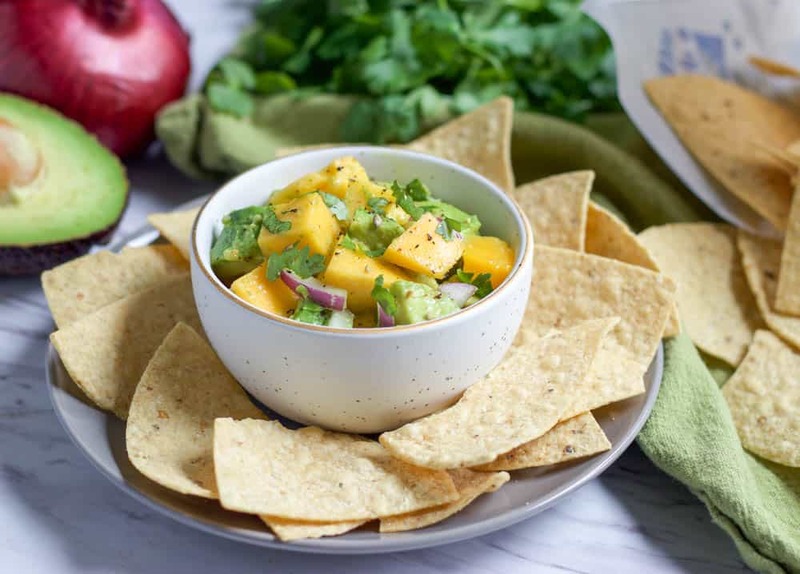 Combine avocado, mango, onion, and jalapeño (or chile) and gently stir to combine. Add juice of lime, olive oil, red wine vinegar, crushed red pepper, sea salt and pepper and stir to coat. Add in cilantro and stir to combine. Chill for about 15 minutes or longer before serving.